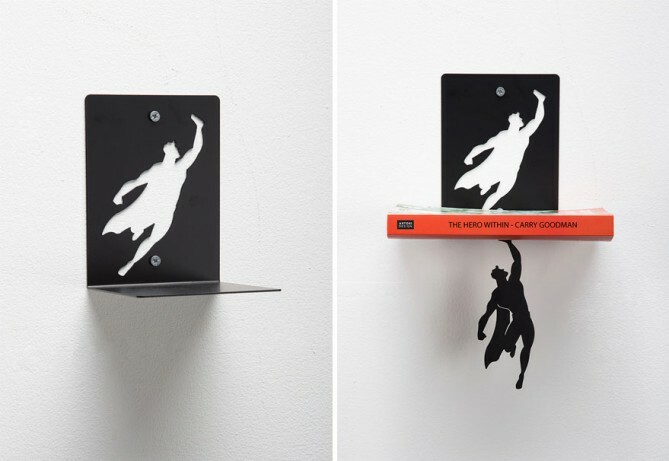 Created by the imaginative folks at Israeli design studio, Artori Design, are the Book And The Hero, and Supershelf – a pair of bookends that make it appear the books they’re holding are being saved by a small, yet incredibly strong superhero. 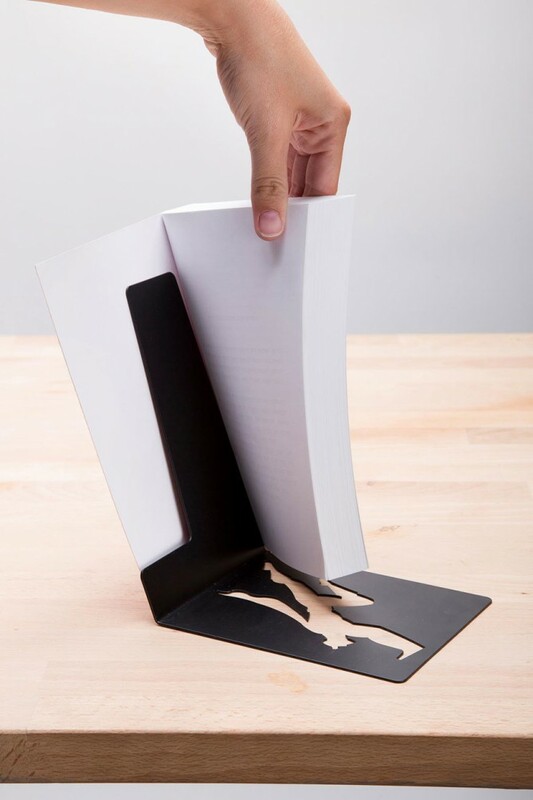 The illusion is created by the use of strong magnets, and feature a mini magnetized superhero. 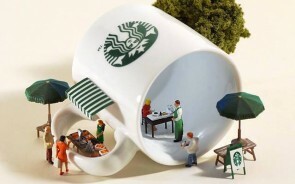 Witchcraft, in other words. 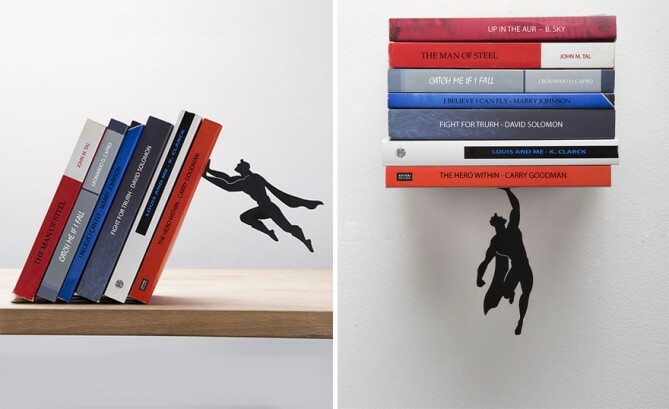 The floating effect on the Book And The Hero bookend, is achieved by laying the books against an angled stand, with one book left open so it covers the bookshelf. 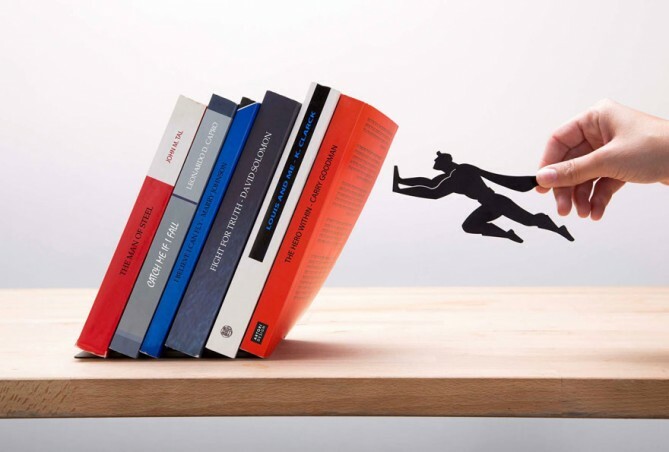 Factor in the magnetized witchcraft, and it appears the small cape-wearing hero is holding the books up on his own strength. 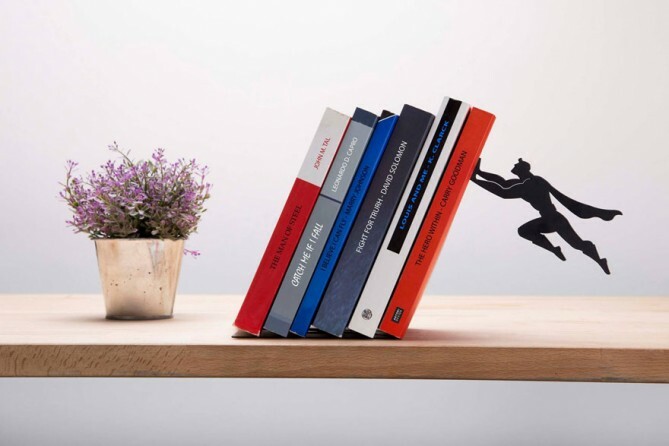 Supershelf works in a similar way – the miniature magnetic hero is joined to the bottom of an invisible, vertically aligned shelf, which once again gives the effect he’s holding the books.